Extremely popular and reputed Fortune Lounge group is proud to announce their Caribbean Cruise promotion once again. This annual promotion is extremely exciting, and has been available for players the last five years. With humongous prizes, exciting opportunities and much more, this promotion is available again and will run from November of 2012 to February of 2013. At the end of this four-month promotion, 50 players from all of the Fortune Lounge online casinos will be awarded with luxury Caribbean cruise packages for two. In addition, they will be entered to win their share of €100,000 in cash prizes that are given away on board the cruise. If this were not enough, throughout the promotional period, players are also given the opportunity to win €150,000 in giveaways every week. Prizes for this part of the promotion includes fashion accessories, casino credits, iPads, watches, deposit match bonuses, rewards points and free spins. As each new month is welcomed, the promotion will change slightly and players have different contests to take advantage of. For the month of November, players must complete the Earn Chips to Win Cruise Card. For December, players can take advantage of the Pick A Gift on a festive beach every day, and January offers the opportunity to participate in the Spin To Win promotion on the Island Style slot game. Although this is three of the four months, Fortune Lounge says that February’s promotion is a mystery, and encourages players to keep their eyes open to find out what type of exciting opportunities await their players. 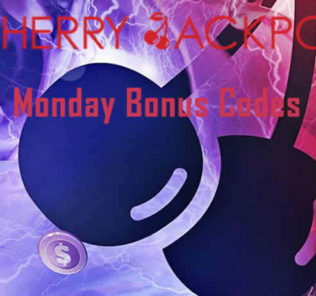 Players can find out additional information about all of these promotions available from Fortune Lounge on their numerous casino websites. For the November promotion, players will be given a new car every week to complete for the Earn Chips to Win Cruise Card. Players earn chips for deposits and/or bets, and must earn chips for every blog on their card to complete it. Once a player has completed every row available on their Cruise Card, they will be automatically entered into a draw to win the prize that is available at the end of each row. Often, the cards have free chips on them so that the player can fill up the card much faster. If any player completes all four rows of each card within one week, they are automatically entered into a draw that allows them to win double tickets for the exciting Fortune Lounge Cruise promotion. If a player completes the card before seven days has passed, they will receive an additional part, and if they continue to complete cards within the initial seven-day period, each of those completed cards provides even more chances to win incredible prizes. Fortune Lounge casinos that are participating in this exciting promotion for players include Platinum Play, Vegas Palms, 7 Sultans and Royal Vegas. All of Fortune Lounge’s casinos are fully licensed by the Lotteries and Gaining Authority of Malta, utilize Microgaming software and have been given approval as being fair and safe by eCOGRA.